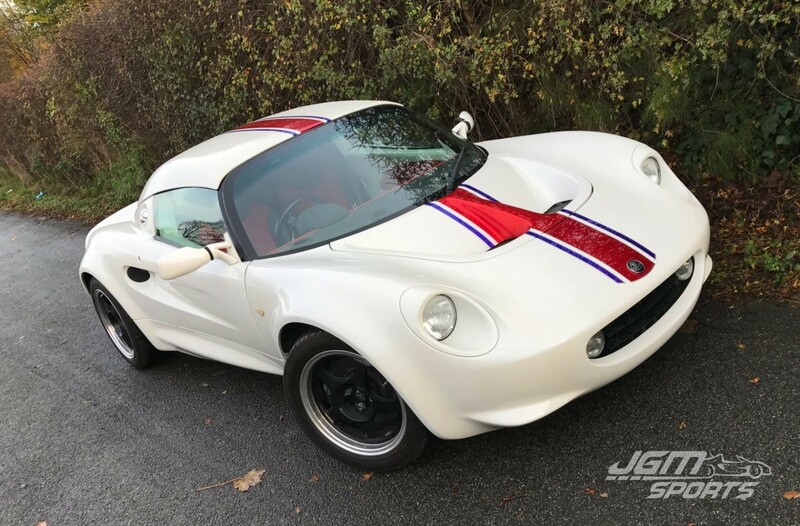 Fully customised S1 Elise with one off body work modifications, finished in pearlescent white with a blue flip sporting candy apple red and blue stripes. 1x key with aftermarket alarm fob. Part service history with stamps in book. 1997 956 miles – Kinsey Jones Ltd – After sales service. 1998 4,906 miles – Kinsey Jones Ltd – A service. 2001 17,090 miles – MOT. 2002 20,298 miles – MOT. 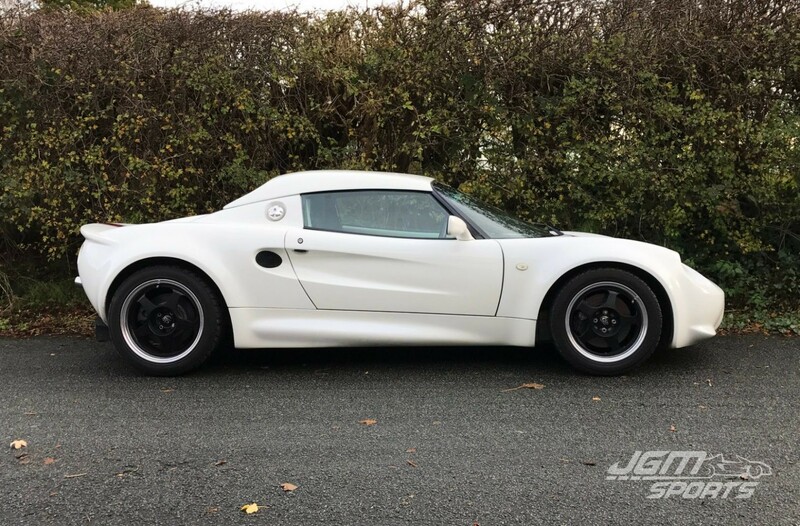 2003 21,980 miles – MOT. 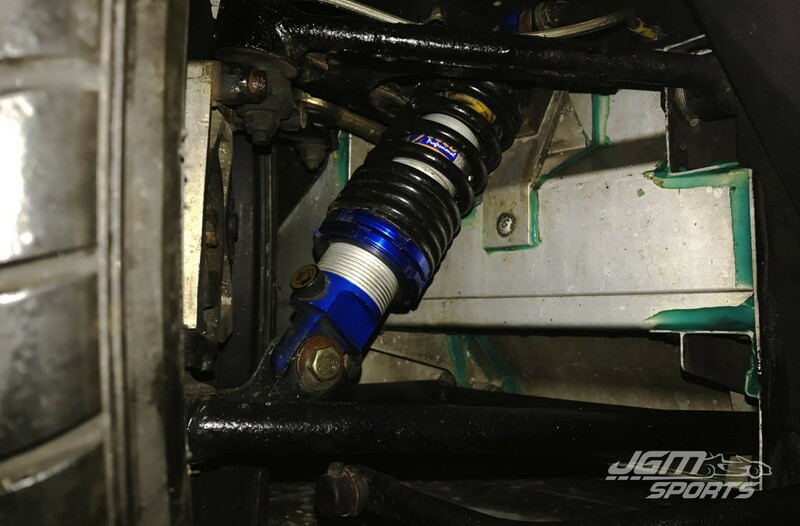 2004 21,980 miles – Phoenix Motorsport – A service. 2006 26,749 miles – Phoenix Motorsport – A service. 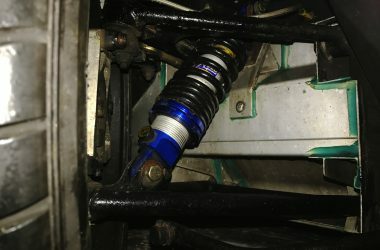 2006 30,200 miles – Phoenix Motorsport – C service (cambelt). 2006 32,09 miles – MOT. 2006 33,826 miles – Phoenix Motorsport – Headgasket + cambelt again. 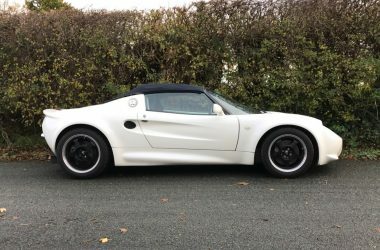 2009 36,470 miles – MOT. 2010 40,210 miles – MOT. 2013 42,115 miles – MOT. 2015 42,147 miles – MOT. 2016 42,822 miles – MOT. Full suspension refresh including all arms and anti roll bar shot blasted, acid etched and repainted in black. 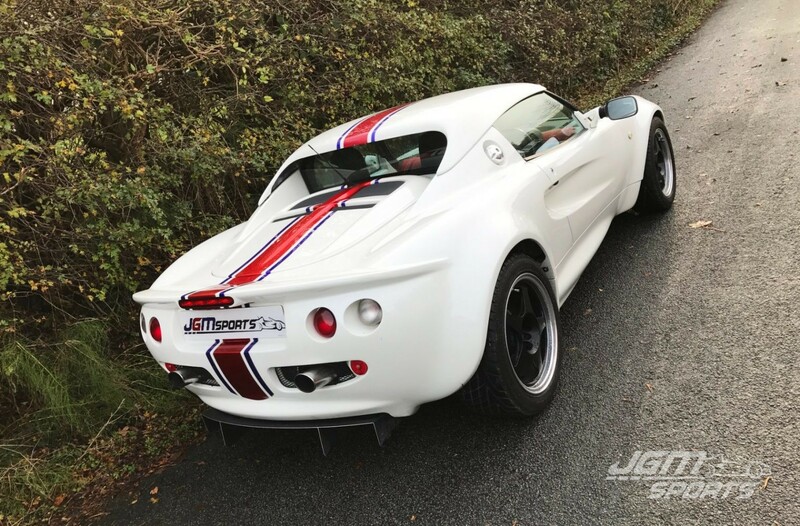 We would expect that the uprated toe link kit and gaz gold suspension were fitted at this time and with it all looking so fresh would guess the mileage has been minimal (see photo). As you can see from the MOT history the car has had very little use over the last 6 years. Being a very early Elise its still on its original rare much sort after MMC brakes. Paint work is finished in pearlescent white with a blue flip sporting candy apple red and blue stripes. Flushed rear exhaust exit with custom made exhaust system relocating tail pipe exits, rear fog light also relocated to reflectors. Black rota wheels with polished edges wrapped in excellent Yokohama tyres. 111s/160 egg style front grill. Smoked side and rear indicators. Extended 4 fin diffuser with polished edges. Red carpet sets and tub dynomatted. 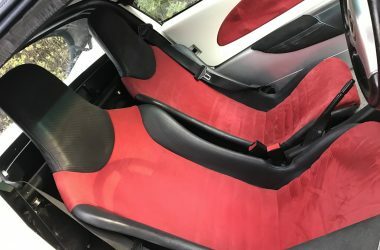 Matching red alcantara door cards and dash tops. Body work is in immaculate condition, interior also very good.